Lisa Todd, of Texas, has been bitten by ticks many times in the Dallas-Fort Worth area. Yet, when she fell ill, she says, her doctor failed to recognize her symptoms of Lyme disease. She thinks that’s because he had “never been properly trained regarding Lyme disease,” and thus missed the opportunity to treat her infection while it was still in the acute stage. “He had been taught in medical school that you cannot catch Lyme disease in Texas,” she says ruefully. 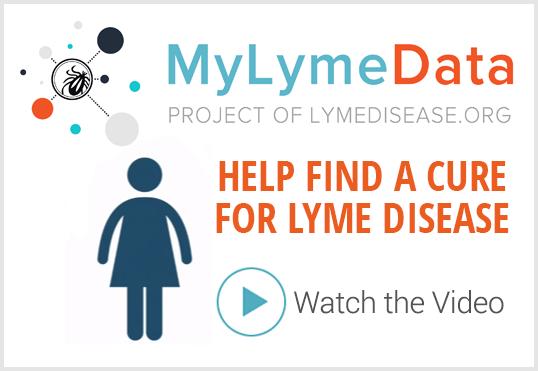 She now finds herself dealing with chronic Lyme and the many miseries it can bring. Lisa has since made it her mission to not only restore her own health, but to help guide others along the way. 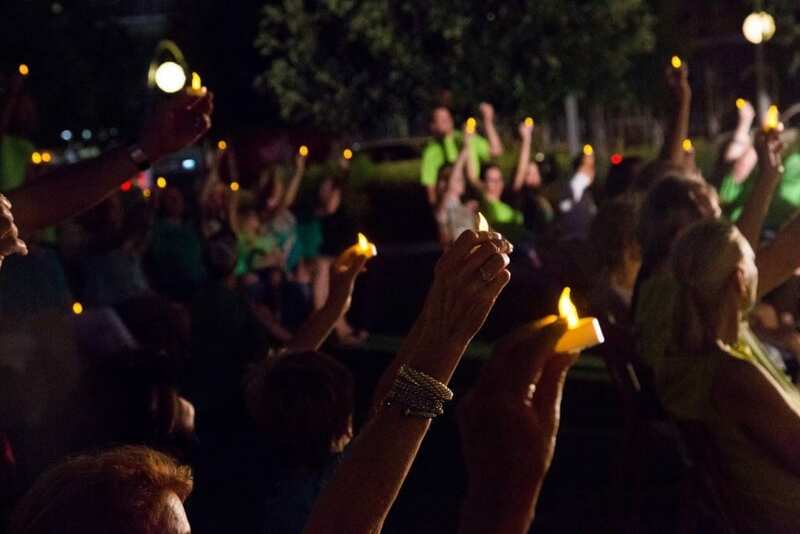 Joining forces with other Lyme activists in her area, she helped organize the Texas Lyme vigil, held in Dallas on August 14. The goal was to help spread Lyme disease awareness and to honor all of those who have suffered or lost a loved one due to Lyme disease and/or tick-borne illnesses. With so many of us coming down with Lyme disease and tick-borne diseases in Texas, I called every news station in the metropolitan area. They told me they wouldn’t consider doing a news story about us unless it was centered around an event. I thought to myself, well that’s exactly what I will do then. I will create an event. So the next morning I woke up, and brainstormed ideas until it occurred to me that we should hold a candlelight vigil at Klyde Warren Park. 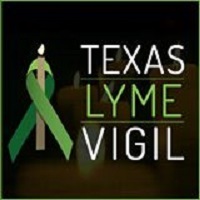 With the help of Martha Boykin, the founder of the North Texas Lyme Support Group, and the generous members of the Texas Lyme and Tick-borne Diseases Group, we raised enough funds to pull off our very first Texas Lyme Vigil. With only six weeks of planning, the candlelight vigil went down without a glitch! Not only was the weather perfect, but we had an incredible turnout for our very first year. 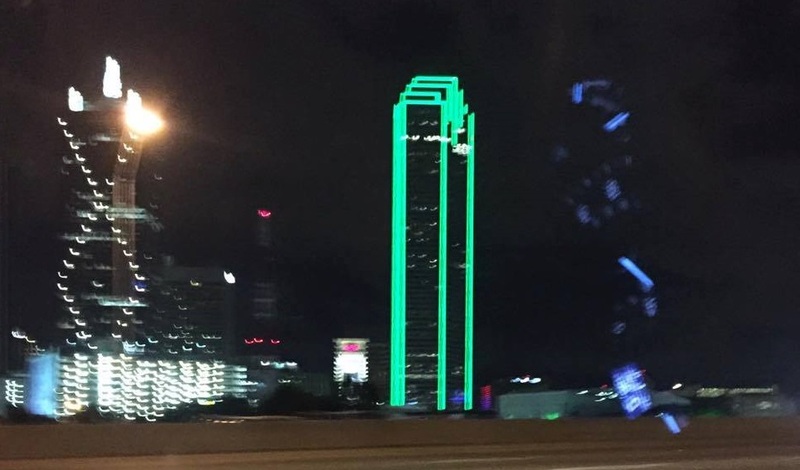 The park setting was absolutely gorgeous, with accent lighting coming from the Bank of America building, which was lit up green in honor of the Texas Lyme Vigil. We all made sure to wear green in order to take some pretty amazing Lyme Disease Challenge pictures in front of the infamous Tick Slayer Jeep (owned by Becky and Scott Summer). 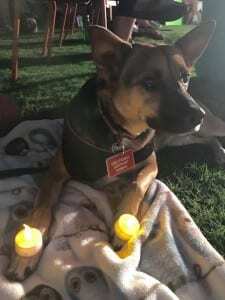 Our Texas Lyme Vigil mascot, a precious dog owned by Nina Sigel, was there for ’emotional support’ and somehow managed to hold two candles during the ceremony. 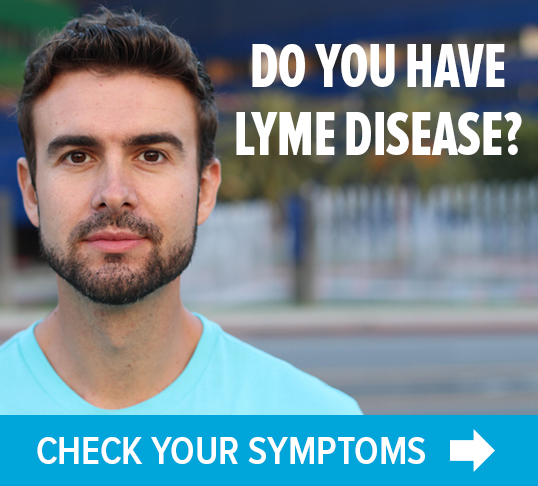 The best part of the evening was seeing all of the Lyme disease sufferers, including their friends and family, connect with one another on such a deep level. As I walked around introducing myself and giving hugs, I felt so much love from everyone that I had to keep myself from tearing up and/or jumping up and down from excitement. So many of us had only spoken to one another via Facebook and had never met in person. It was such a joy to finally get to meet the people that we had been talking to online with for all of these years. Kristina Bauer, owner of Yoga Synergy Wellness, spoke about some very important Lyme disease issues, and even reminded everyone how they can help to catalyze change by contacting state legislators and organizations. I spoke about my personal Lyme disease story and how there is light at the end of the tunnel. Martha Boykin tied it all in with a very heartfelt prayer and a moment of silence for Lyme disease sufferers and those who have passed away due to Lyme disease and tick-borne diseases. Mark Laster Photography did a wonderful job of capturing the emotions that we were feeling as the candlelight vigil took place. All in all, the event was a success! We plan to do this and more every single year to let Texas know that we are serious about Lyme disease reform–to protect Lyme disease patients and doctors, and to end discrimination. Lisa Todd can be reached through her website: lymelightlisa.com.